Na okł. : "... for intermediate to upper-intermediate level (B1-B2). 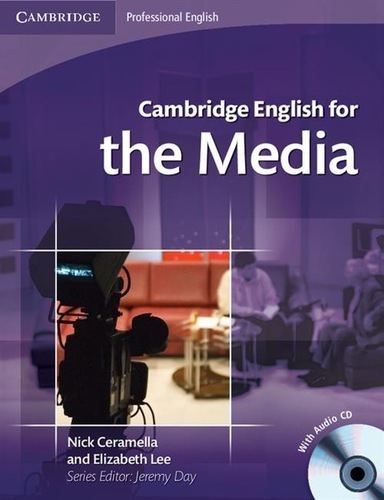 With audio CD"
245 1 0 %a Cambridge english for the media / %c Nick Ceramella and Elizabeth Lee. 260 # %a Cambridge : %b Cambridge University Press, %c 2016. 300 %a 112 s. : %b il. kolor. ; %c 25 cm + %e 1 płyta kompaktowa (audio CD ; 12 cm). 500 %a Na okł. : "... for intermediate to upper-intermediate level (B1-B2). With audio CD". 500 %a Dodr. do wyd. z 2008 r.